Time is always a guarded commodity in busy families don’t you think? One thing though, I always try to fit into our busy schedule are quick easy dinner recipes for the family. We’ll do just about anything to save time…almost anything! Like a crazy amount of Meal Planning! 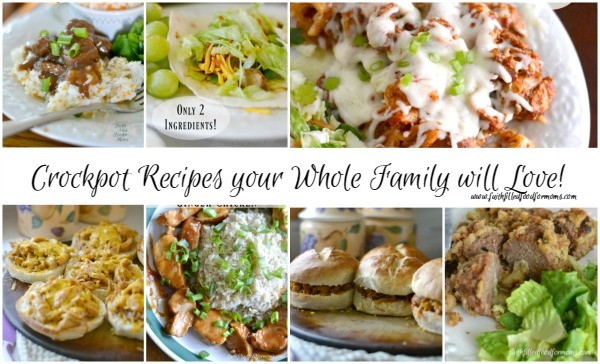 Finding meals kids love as well as adults can be hard sometimes but I’m confident that your family will love all of these tried and true meals as much as my picky eating family does. Dinner is a time to connect, relax and get re fueled for busy evenings for our family. I’ve created so many quick dinners that I thought I would just make one page where you can find most of them! Most of these dinners are very inexpensive and some are made with foods that I buy in bulk because we are on a very tight budget. Having recipes online is a great thing BUT it’s so much easier to print out your favorite recipes and put them where you can get to them easily. I’ve used this easy recipe organizer for I don’t even know how many years! I LOVE IT! 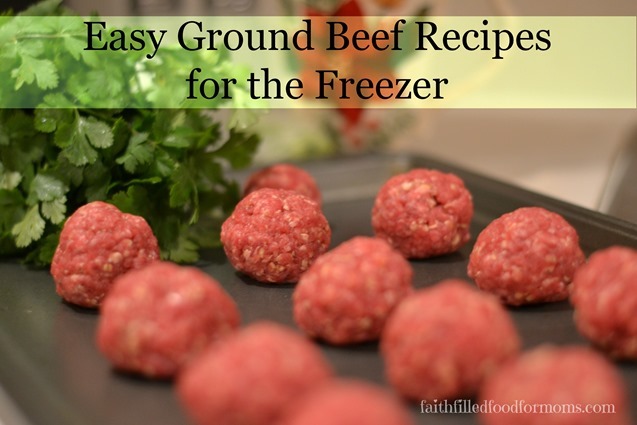 It’s always my GO TO spot for recipes…even before I grab a magazine or hop on the internet. I don’t want to have to search for a recipe every single time I need it. 🙂 Consider buying one for yourself and save yourself some time with recipes at your fingertips..including mine! These next Crockpot Recipes take no time to put together and are family favorites! Crockpot Carne Asada Tacos ~ 2 Ingredients! Don’t have a Crockpot? You NEED one! I don’t use mine all the time…but on those days I know I’m going to be super busy, all I have to do is add ingredients and come home to a home cooked meal…that I didn’t really have to cook 😉 Spend more time enjoying your family than in the kitchen! 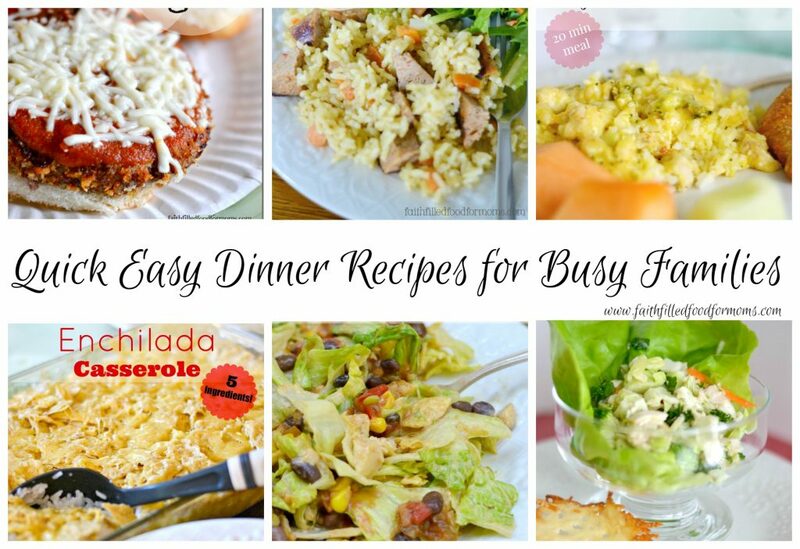 I hope you find this list of quick and easy recipes helpful for your busy family. Make time to spend with your family as often as you can, because before you know it, the kids will be grown and you will wish you would have just taken that little bit of extra time to connect. 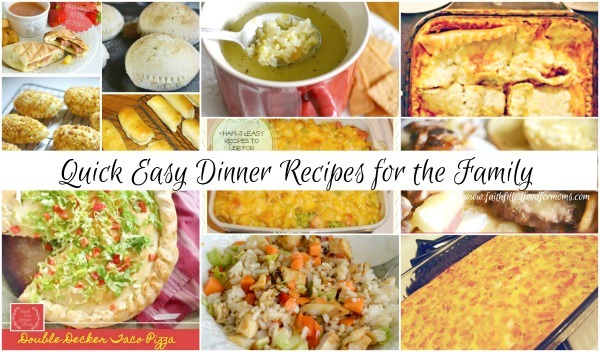 These easy dinner recipes should make it possible for anyone to find time in their busy schedule to cook a simple recipe that families will love.